Donations of Microsoft Windows 8 are now available! 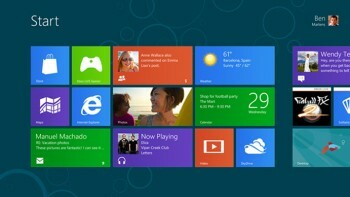 Microsoft Windows 8 is here! Eligible not-for-profits and charitable organisations can now request donated copies of Windows 8 through the TechSoup Asia program. Our Windows 8 Resource Centre is now available, with information on available products, system requirements and everything else you need to know before you upgrade to Windows 8. The most obvious difference between Windows 8 and versions before is that it features a new mobile and tablet friendly design, replacing conventional icons with sleek tiles in a completely reimagined Windows interface. Some aspects of the Windows experience will be present from what we're used to with Windows XP And Windows 7, but the "Start" menu has morphed into a new full screen display. Windows 8 features easier syncing with cloud-based services including the popular free cloud storage tool Skydrive, and there are numerous performance improvements such as a smaller memory footprint, faster performance than Windows 7, and reduced disk space requirements. If you have received a donation of a Windows operating system in the last two years that included Software Assurance, remember you can upgrade to Windows 8 at no cost.